Campus investigates the metaphoric overlap between properties of the video camera and processes of human perception, an area of great interest to many early videomakers. Double Vision inventories strategies for comparing simultaneous images of a loft space produced by two video cameras whose signals are fed through a mixer, thus producing an electronic version of what in film would be called a "double exposure." 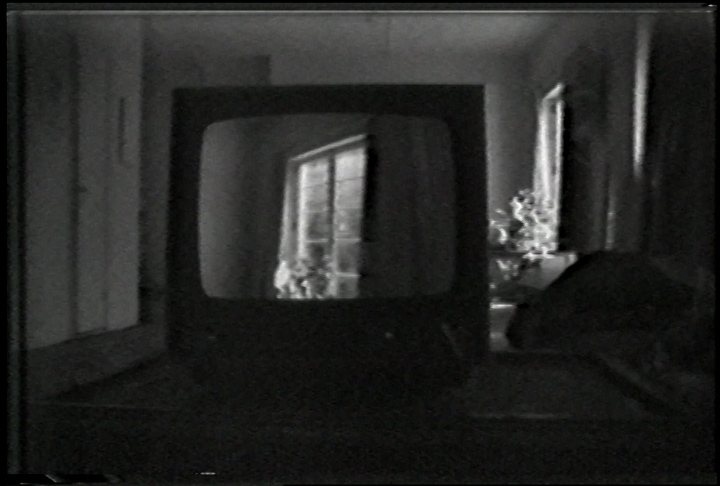 The cameras are set up to perform variations of binocular vision; for example in the section entitled "Copilia," the two cameras are set at different focal lengths and search independently around an empty room, attached to the same moving body. In "Convergence," the cameras are stationary and separated but focused on the same distant wall; their images gradually merge as the artist repeatedly returns to the cameras and moves them closer together. Double Vision is an elegant and systemmatic exploration of vision using basic video technology. "[Double Vision is] an exploration of double or two-camera images and works its way up to an eye-brain model, always conscious of how this model differed from its subject matter." This title is only available on Surveying the First Decade: Volume 1.